Can the ultimate marketing campaign sell peace? KYOTO - We live in a hashtag world. What was once a sound bite is now a bit or a tag to make an issue go viral. Last week I explained the value of the hashtag to my first-year students in global affairs and asked them to come up with their own viral marketing campaign. An 18-year-old college freshman said, “Hashtag, world peace for sale.” Why for sale, I asked? That seems paradoxical. Indeed. She said that peace is not something you can buy like a product or service, but it’s the most sales-worthy endeavor in the global marketplace of ideas. Our hashtag class discussion came on the heels of the World Business Conference for World Peace convened by Hiroshima Gov. Hidehiko Yuzaki. We met in Hiroshima to discuss how to market the city and prefecture beyond the atomic bomb of August 1945 and U.S. President Barack Obama’s speech last May. The keynote speaker, Northwestern University Philip Kotler, is the leading global expert in marketing. Twenty years ago he published “The Marketing of Nations,” which explained that every nation has a brand image that impacts how its industries compete. Japan’s nation brand image for the post-World War II period is peace. A peace brand makes good and useful things that people want to buy. Think of Sony’s “The One and Only” or Toyota’s “Let’s Go Places.” Peace-brand Japan attracts people from beyond its shores who want to buy its products and experience its natural beauty and cultural traditions. Japan is also a natural at communicating a message of peace to the world. It need not begin and end with Hiroshima. 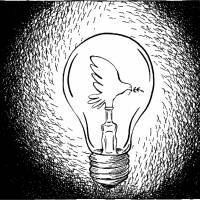 But Hiroshima is a good launching pad for establishing a Global Peace Research and Development Laboratory. From 1942 to 1946, the United States spent several billion dollars to design and build the first set of nuclear weapons. Code-named the Manhattan Project, the best minds of the day, including Albert Einstein, were persuaded to create a weapon so destructive that its use would shock the world into submission. The Atomic Age was born. It lives on today. A Peace Age is possible. It is a most wanted concept for all, the ultimate marketing campaign, but there is a fragility attached to it. 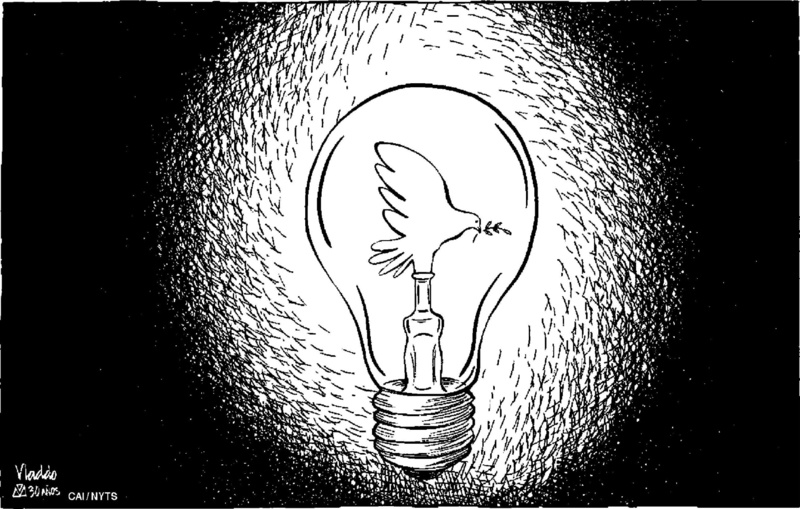 Peace is easily destroyed because so many nations and people are working against it every day. It comes down to what we value. If we can reduce smoking and litter through social cause marketing, then why not try to reduce our propensity to violence through marketing peace? Right now we aren’t trying hard enough. We haven’t made peacemaking and peace-building a regular habit, like putting on our seatbelts. We haven’t created peace coaches the way we’ve created life coaches and sports coaches. Even my latest book calls Japan’s nation-branding efforts an information war. But Japan’s peace Constitution is, according to Kotler, an “outstanding” cornerstone to education for peace and abolition of nuclear weapons. I could not help but contrast that call to our better selves with the lowest common denominator narrative that is this year’s American presidential election. Japan became a topic of much discussion between Hillary Clinton and Donald Trump during the presidential debates, but not as a subject of peace and win/win solutions, rather as a zero sum game of contention over mutual security arrangements and trade agreements. A renunciation of war at the most fundamental level of how a nation governs itself is an opportunity to build a peace infrastructure in education, business and government, especially for that gender receiving a lot more attention these days in Japan. In less than two weeks when the United States likely elects its first female president, I may be thinking again about our Hiroshima gathering and the possibilities for peace.